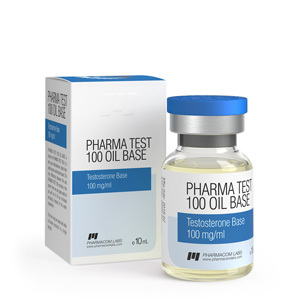 Pharma TEST Oil base 100, also known as Testosterone Suspension, is an injectable anabolic steroid, presented in the Pharmacom Labs Inc line (Pharmacom.Labs). It has a very strong anabolic and androgenic effect. It is presented in the form of an aqueous solution, due to which it starts to act very quickly, the effect is felt already the next day. Gives an increase in the total mass, but, as a rule, it is mainly used in powerlifting for a noticeable increase in power indicators, gives aggressiveness and vigor in training. The dosage of Pharma TEST Oil base 100 is usually 50-100 mg per day or every other day, for 4-5 weeks, since with prolonged use the likelihood of side effects increases. Often used by professionals to prepare for competitions, as it has a fast time of disintegration and elimination from the body. Goes well with Boldenone and Nandrolone to gain overall muscle mass. 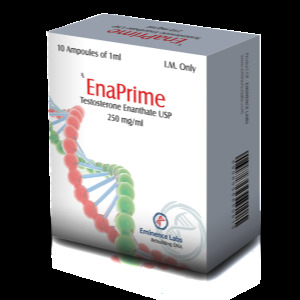 The side effects of Pharma TEST Oil base 100 are clearly pronounced, this is manifested in the appearance of gynecomastia, acne, edema, an increase in fat mass, a marked suppression of the level of own testosterone. It is advisable to use anti-estrogens from the beginning of the course.